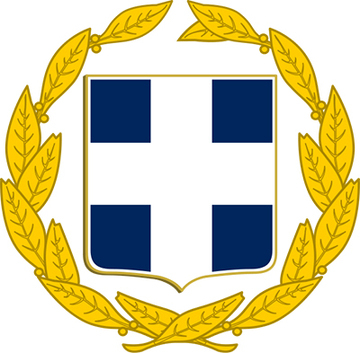 The Greek Armed Forces, also referred to in the vernacular as the Greek Army (although the Army is actually a part of the forces), comprise the military power of Greece. The Armed Forces consist of three divisions, the Hellenic Army (land division), the Hellenic Navy, and the Hellenic Air Force. The personnel of the Armed Forces consists of military professionals, professional soldiers of long – term service and soldiers serving their mandatory duties. The leader of the Hellenic Armed Forces, according to the constitution, is the President of the Hellenic Republic, but the strategy and planning is done by the Governmental Council of Foreign Affairs and Defense (KYSEA), led by the Prime Minister of Greece. The Minister of National Defense is the political manager of the Armed Forces, while their natural manager is the Chief of the National Defense General Staff (GEETHA). After the restoration of Democracy in 1974, the Chief of GEETHA is also the sole Greek military official who bears the title of General, Admiral or Air Marshal, depending on the division he belongs to. According to the law, the mission of the Armed Forces is the defense of the national independence and integrity of Greece, the protection of its national territory and the assistance in the completion of the political goals of the country. In periods of peace, the Armed Forces are responsible for being constantly alert for the protection of the national territory, for preventing threats and risks, for contributing to international safety and peace, as well as contributing to society by assisting the public services in times of need. In Greece, according to the constitution, it is mandatory for all Greek males to serve in the Hellenic Military, for a period after they become 19 years old. From 2009, the full military service in the Hellenic Army division is 9 months, while in the Hellenic Navy and Air Force it is 12 months. Special conditions also apply, depending on social, health and other criteria; some Greeks may serve a reduced military service, currently eight, six or three months for the Hellenic Army division, and nine or six months for the other divisions. In other cases, individuals may also be fully exempt from serving in the military.